Apt. 9 size XL. Length 18 1/2 waist 21. I embellished this jacket with rhinestones and studs. This has a worn look. 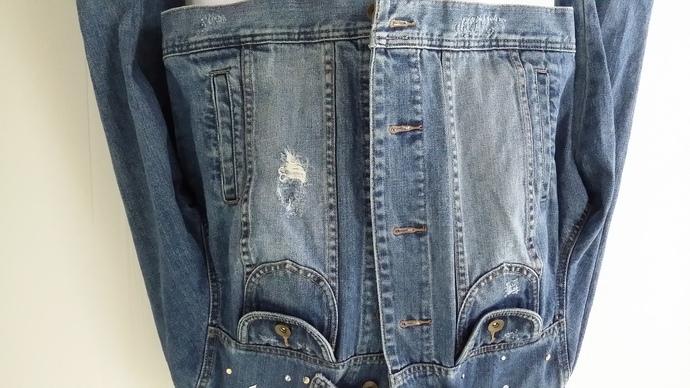 Denim jackets are a wardrobe staple wear with a casual dress, skirt or jeans.